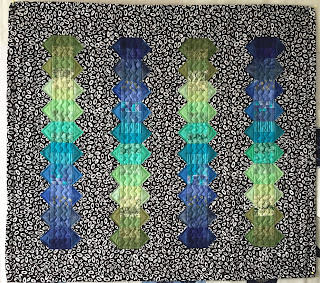 I have located a couple of quilts that I didn't have on the list of quilts that I've made. They weren't in my books of stories about the quilts and pictures. Somewhere back in my box of old photos, I'm sure there is a picture of them?? 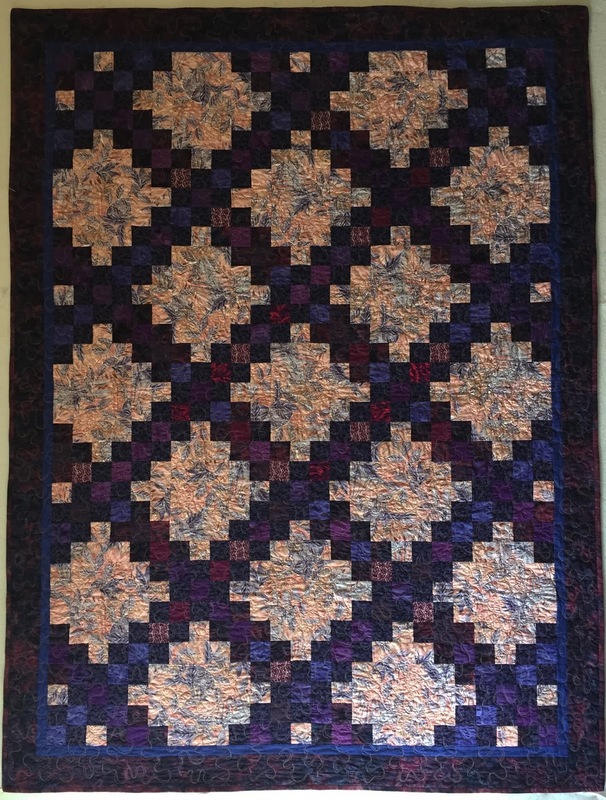 Anyway, I made lots of quilts over the years and many of them were for classes that I was teaching. So, I'm surmising that I must have been in a hurry to produce them for class samples. Then when I got buried in quilts at the house, I gave a lot of them away to my friends and relatives. 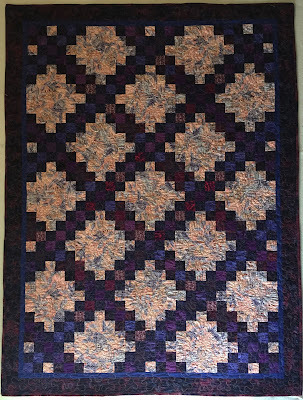 Two of my friends recently came over for lunch and loaned back the quilts that I had given them. It was all part of the process of gathering up the quilts for the solo show that was held in October. To my surprise, they both had quilts that I recognized but had no record of! Of course, neither one had a hanging sleeve, and only one had my signature. (Sigh). It was fun seeing all the quilts loaned back to me, and even more fun to see all the people! 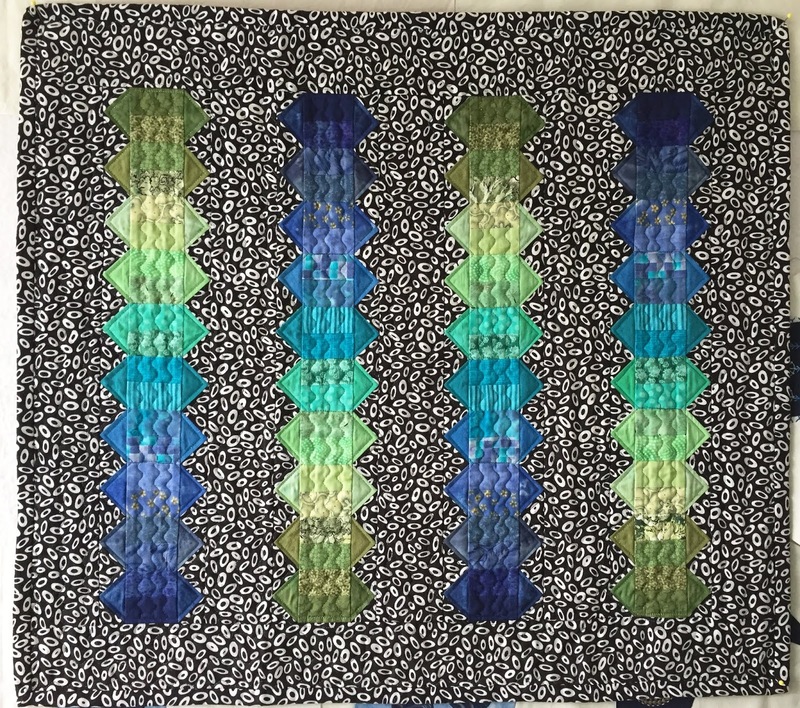 I hope you have your quilts spread out among your friends and family too.